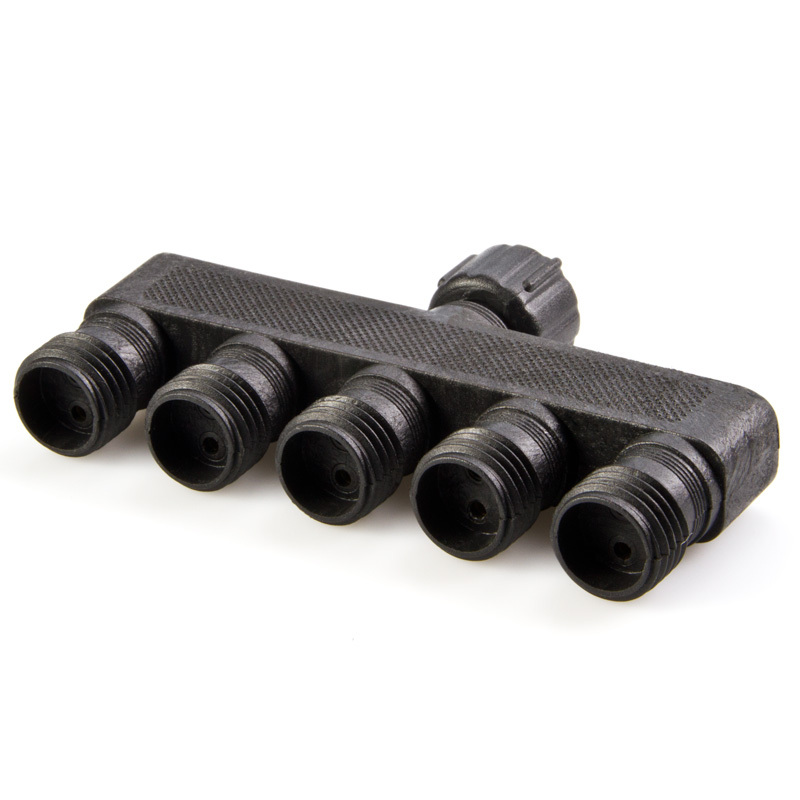 G-LUX series plug and play cable connector splitter hub. 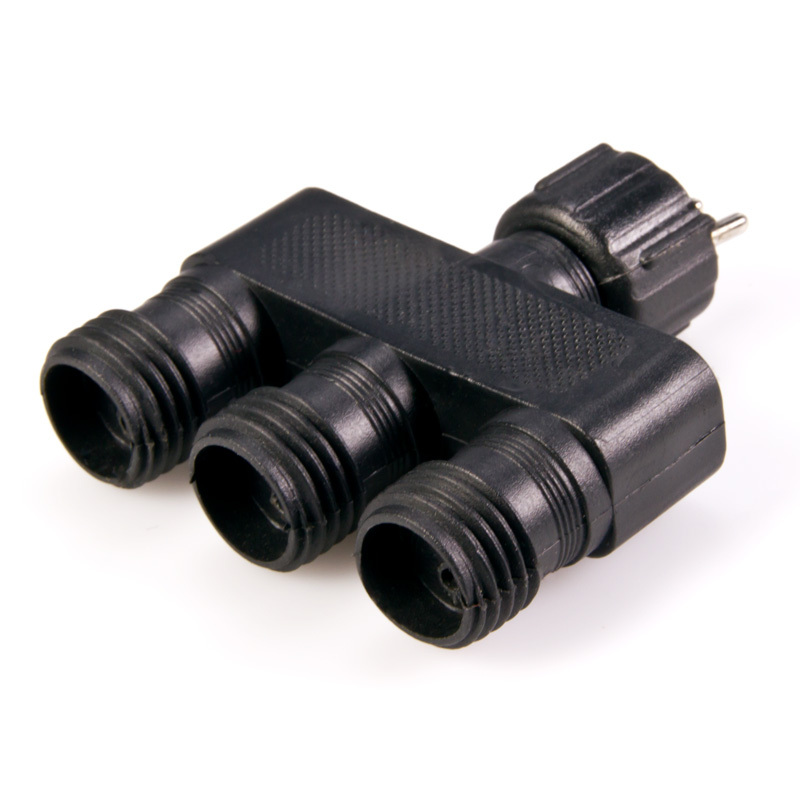 1 input and 3 or 5 plug and play G-LUX output connectors for connecting multiple G-LUX series LED landscape lights from a single power supply. Not waterproof (IP44). 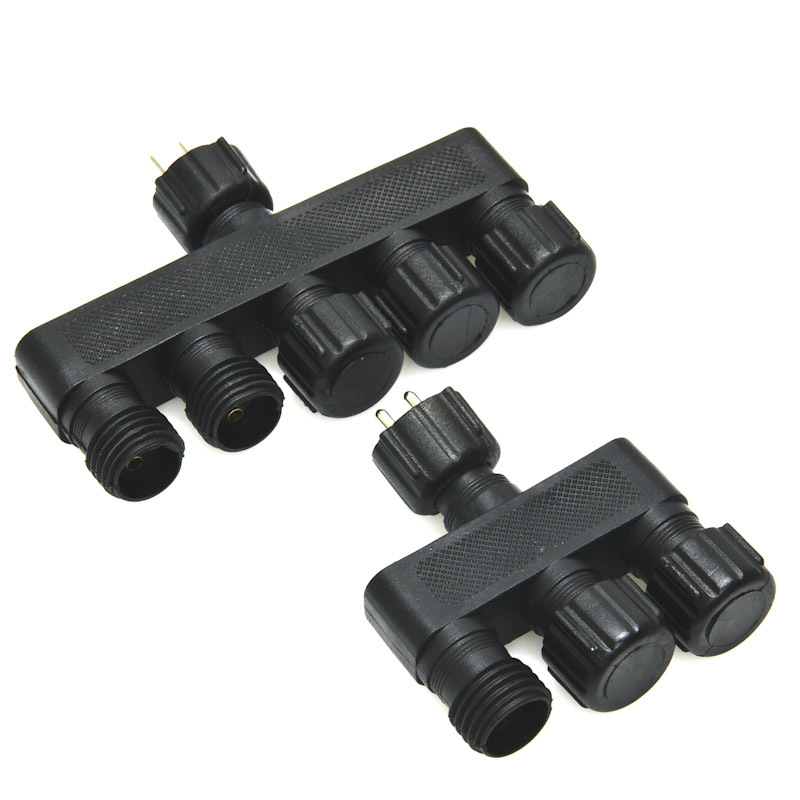 Compatible with G-LUX series plug and play LED landscape lights and power supplies. 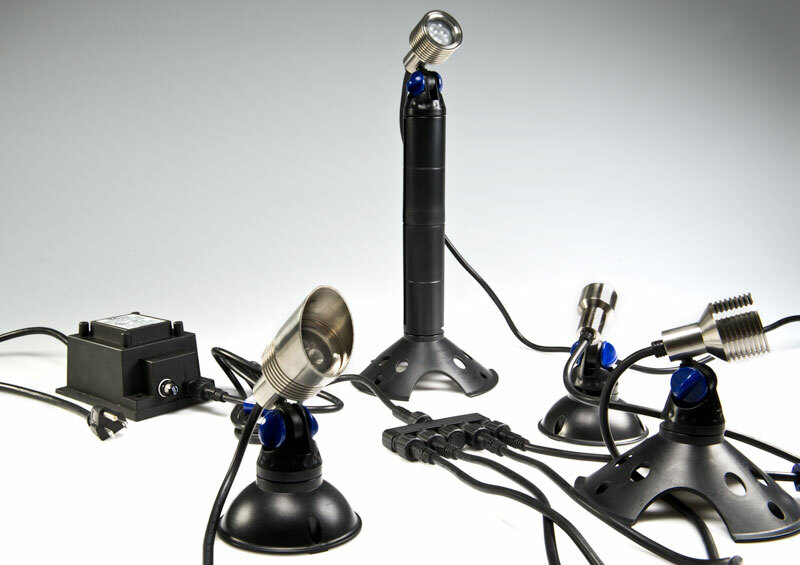 See all compatible G-LUX series products and accessories. This is a far superior alternative to the LED landscape lighting available at hardware stores. Brighter, with color temp (warm white, natural white cool white) and beam angle choices the others don't offer. The small size makes hiding the fixtures much easier. I would go with natural or cool white for lanscape lighting as this makes the leaves look greener and richer at night. The product functioned as it was supose to, but i had to put it on the end of one extention instead of right off the power supply because the input pins were turned 90 deg. Picture shows one way but came as stated above. Installation would have been neater had it came as pictured. 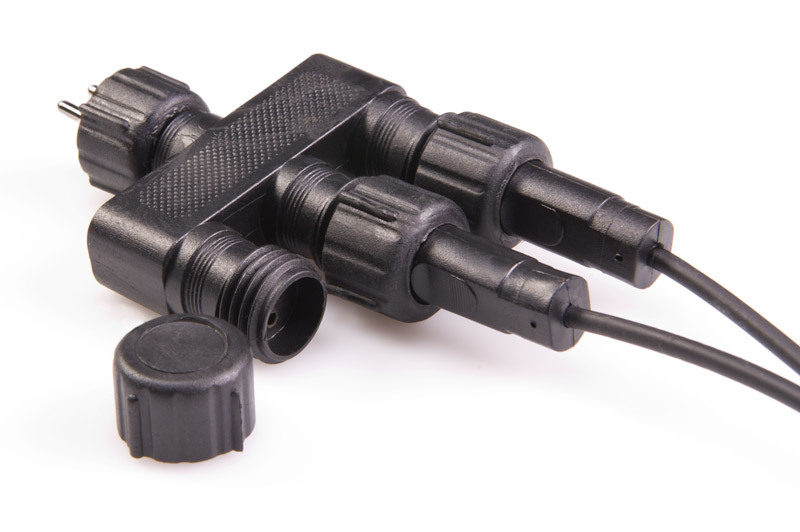 When using the DA-60-12W power supply, the use of an extension cable or timer is required to connect the splitter hubs the power supply. 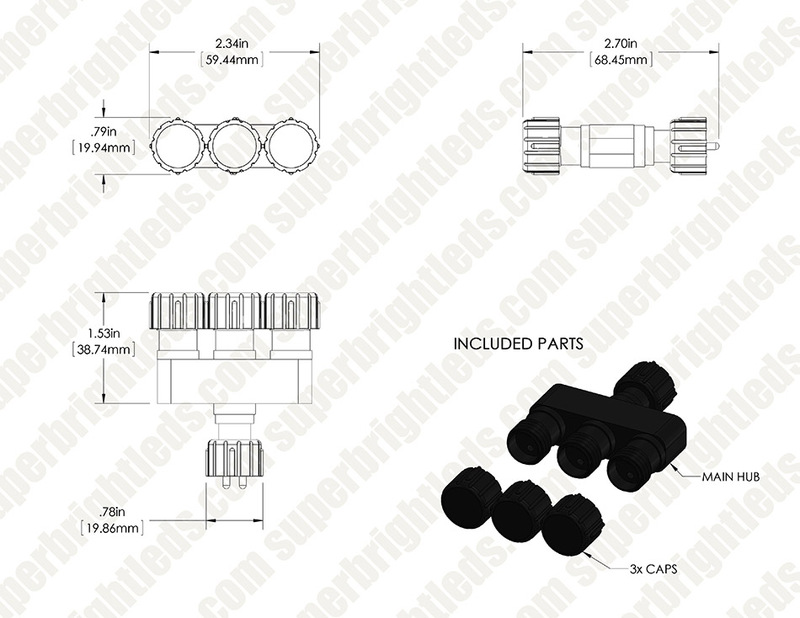 All other GLUX power supplies will allow the splitter hubs to be attached directly to them. Mounts perpendicular to the mount for transformer. 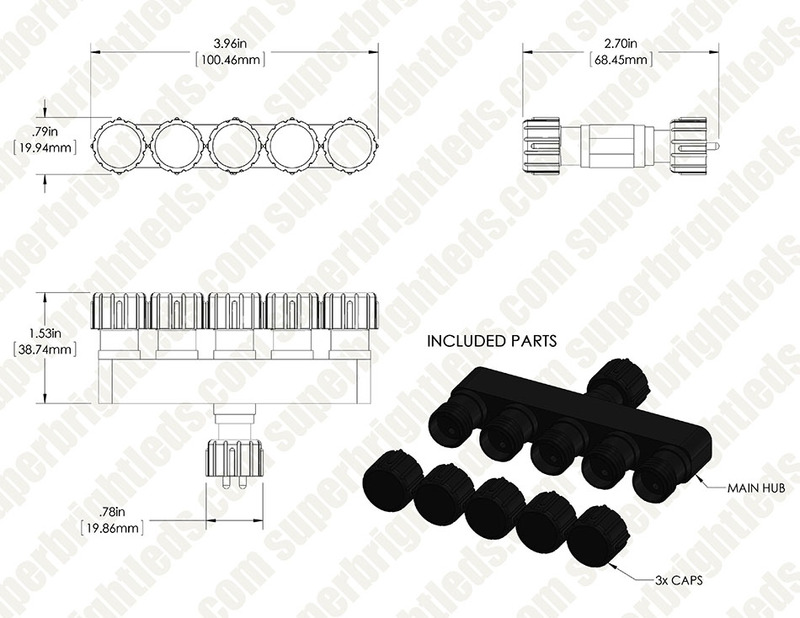 Is difficult to mount transformer with this splitter attached. We suggest that you attach to the extension cable to facilitate easier installation. Allows you as indicated to connect between 3 & 5 lamps to a single power supply. Very nice when wiring in deed!